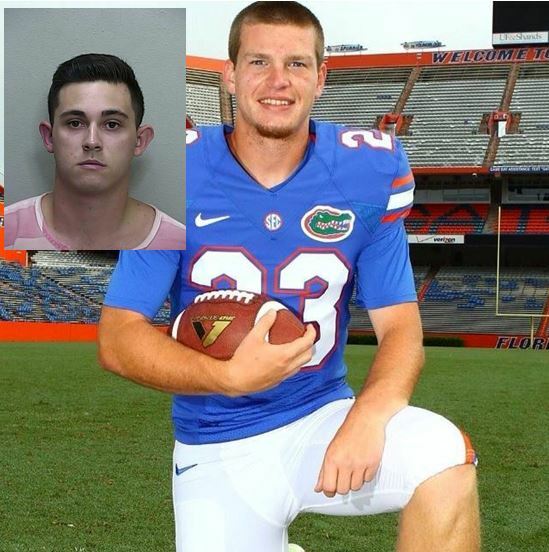 Ocala, Florida — Jefferson Davis Guinn IV, 20, was sentenced to 12 years in prison for the shooting death of Daniel J. Krysalka, also 20. On March 8, Krysalka and Guinn were in an upstairs bedroom of a home located in the 2100 block of Southeast 15th Lane, Ocala, looking at their weapons — a Kel-Tec .380-caliber and a Kel-Tec 9mm. A third person, Ethan Hayhurst, was also in the room. Once Guinn was handed the gun, he inserted a magazine and racked a round into the chamber. Guinn then pointed it at Krysalka’s face and began making fun of people that had scolded him the night before for pointing an unloaded gun at someone. Hayhurst told the detective that the gun then fired and Krysalka fell backward. The bullet went thought Krysalka’s mouth. Guinn plead guilty to Manslaughter with a Firearm on Wednesday. Guinn took full responsibility for the shooting and plead guilty because he did not want to “drag” Krysalka’s family through a long trial. “In the end, the sentence given by the Judge was fair and appropriate for the circumstances,” Camuccio said.